Here are some pics I took from my trip last year to Dreamliner Bus in Perris, Calif. just outside Los Angeles. 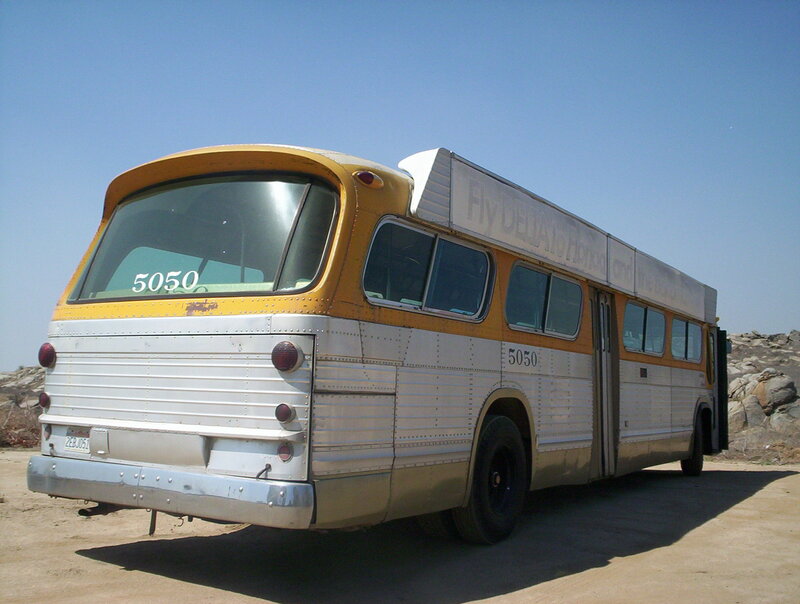 This is a GMC 5301, exSCRTD #5050 with the Bus O Rama. 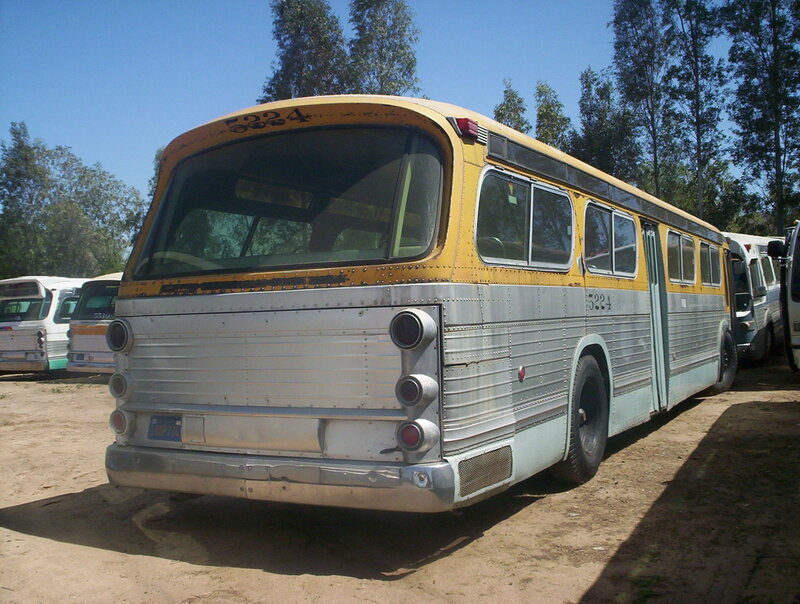 Loren Weeks has a nice collection of mostly GMC fishbowl buses as well as a collection of parts. It was basically a fishbowl lovers playground! . Mr Weeks was kind enough to give me a ride on this beautiful bus. 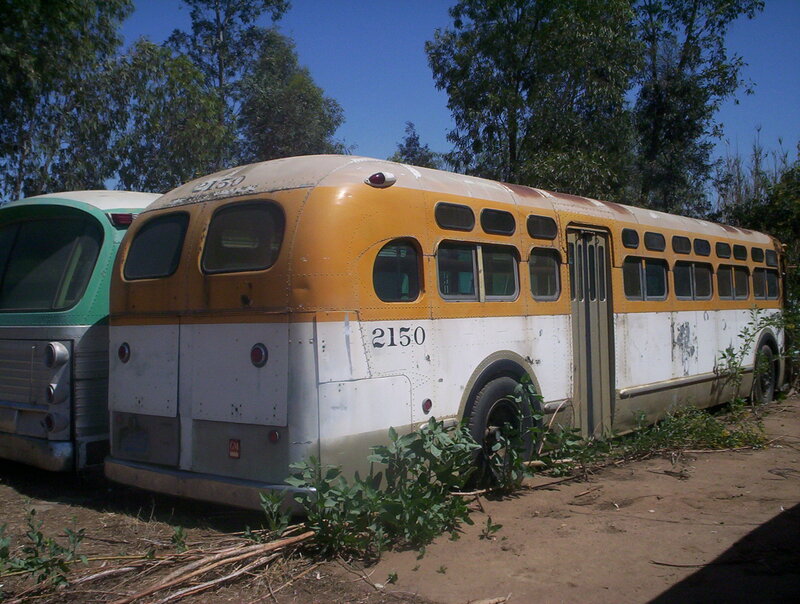 The CTA 5307/#9799 and the 5301/#375 that belong to the CHBM collection were stored here for many years after they were retired. The 375 is now off the CHBM roster. I have kept in contact with Mr. Weeks and unfortunately he is selling off the collection. As Im writing this some of these buses that I will display here have been sold to other parties. 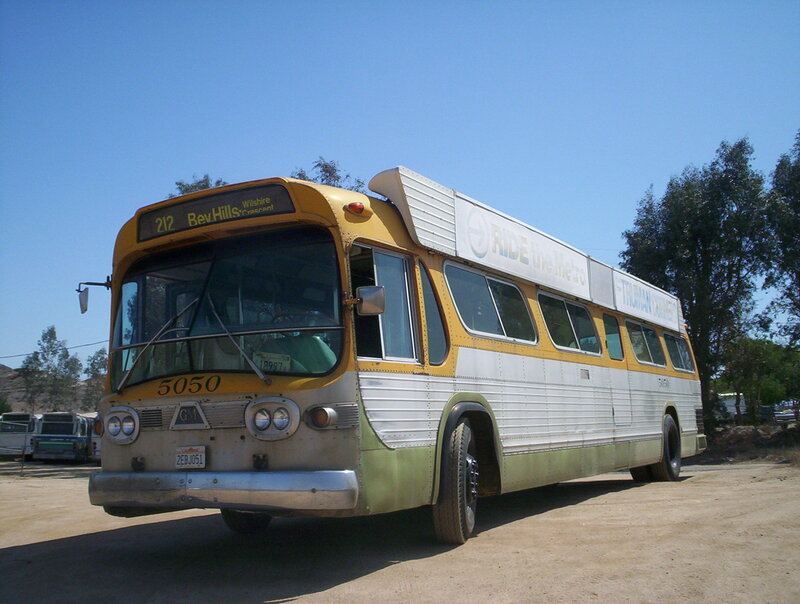 I will be paying another visit in April to this cool bus collection. 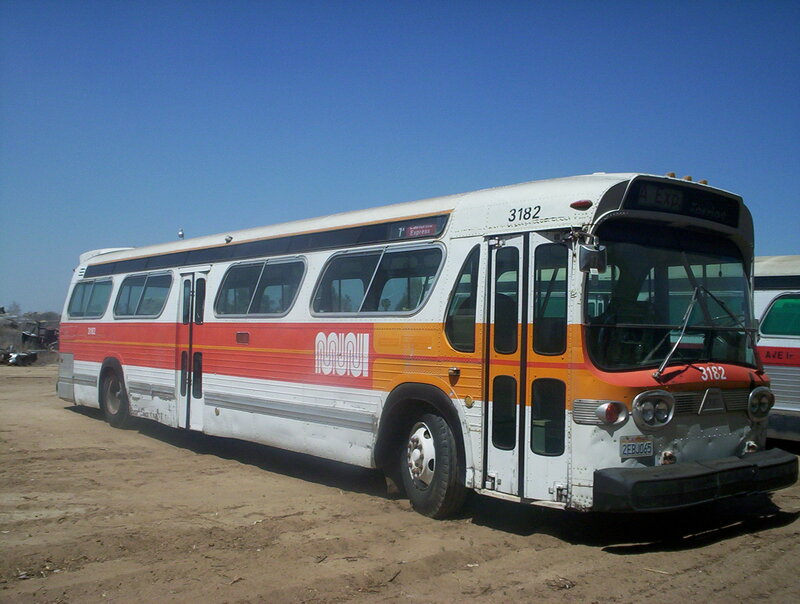 The collection consisted mostly of west coast transit agencies, RTD, MTA, SMMBL, MUNI, etc..... Mr Weeks also told me something interesting, he had supplied GMC fishbowls that were exSan Diego Transits for the 1994 movie "Speed". 5208 looks like something that could be made into a wall hanging, sort of like what was in January's Car and Driver. 5050 shows New York influences in the BusORama and the style of the destination sign, which is also similar to the post 1976 CTA ones. Also, the reference to him supplying buses for Speed indicates how they got buses that were a generation older than what was normally on the road. I wondered how that happened. 5224 looks like the type of fishbowl that South Suburban Safeway Lines operated on it's route between the Loop and Altgeld Gardens. 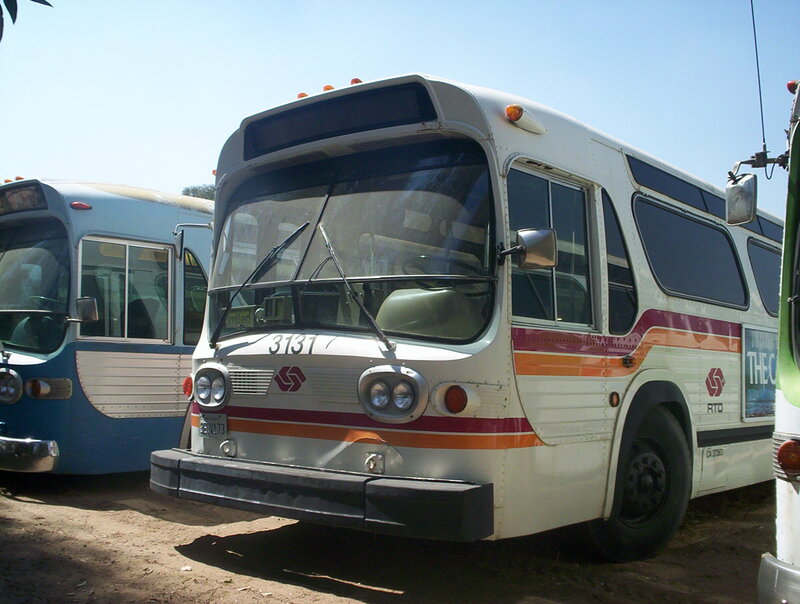 The only CTA buses I recall with Bus-O-Ramas were Flxible New Looks. I think some were garaged at Archer and Rockwell. 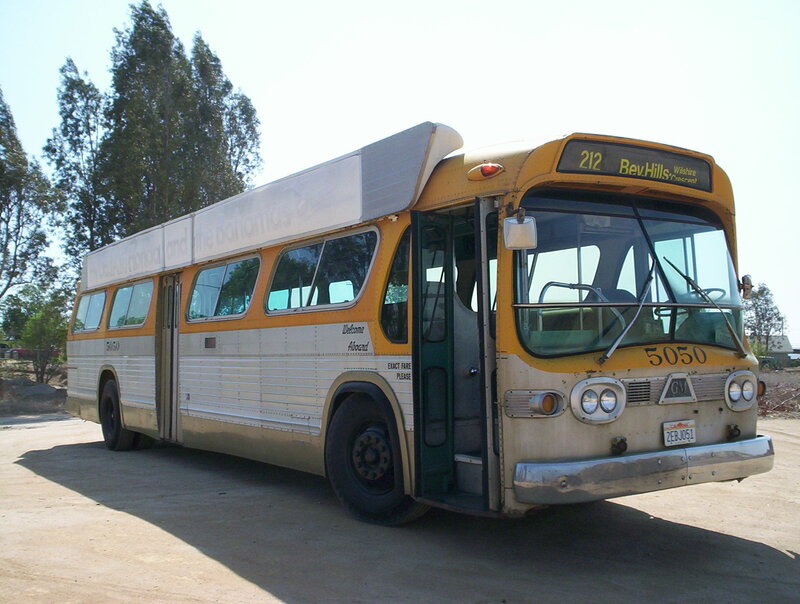 Heres an exSCRTD GM Old Look bus #2150 in Perris, California. 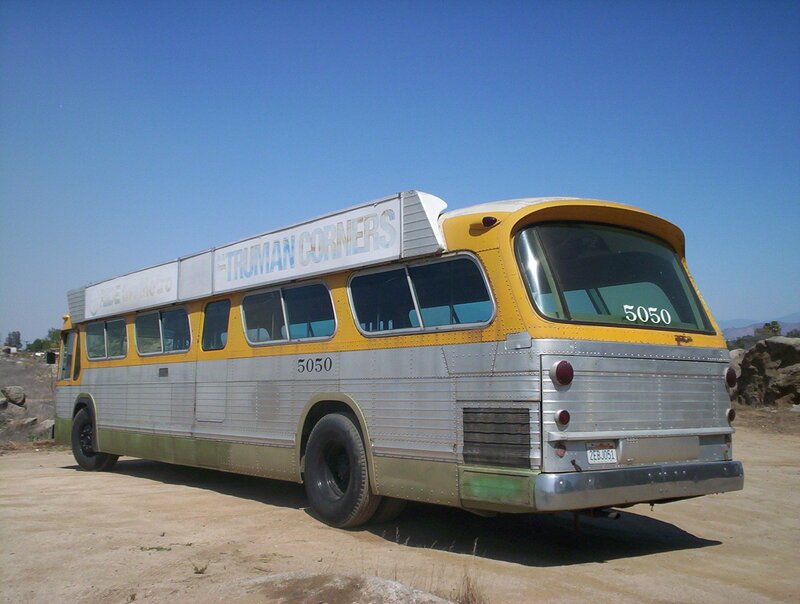 Do you have any photos of the Flxs with bus o ramas? Ive never seen them. Unfortunately I don't. I'll take a look around the net see what I can find. If you happen to know anyone who does, pls ask them they can share them with us on this site. Rev Group has a press release that ElDorado National California obtained a contract with the LACMTA for 295 40 foot CNG transit buses, with options for another 305, subject to a challenge by a competitor being resolved. Looks like ENC is now with bigger fish than just Pace. 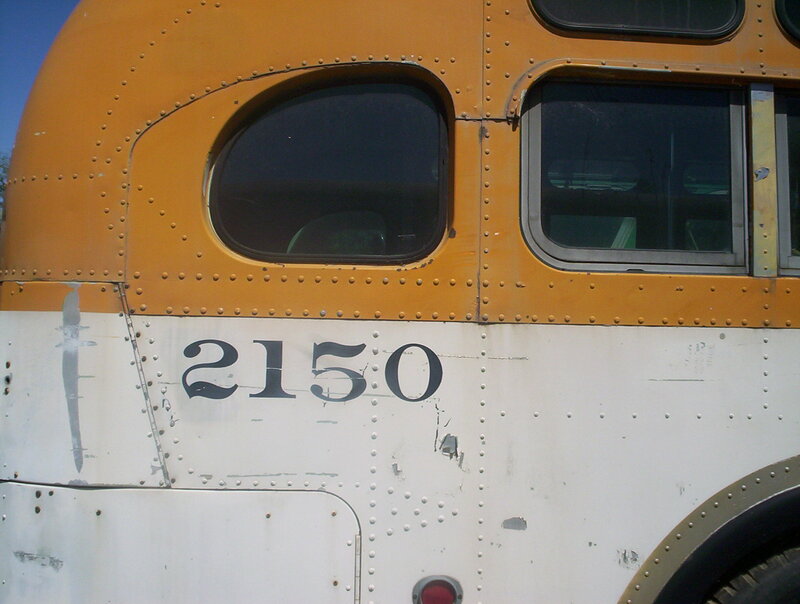 I know this is a 8 year old post, but CTA actually had a bus with a bus o rama #3501. Long ago when I was collecting pics I came across a picture of it. i looked for it and I have it. I think it was posted here but it was removed for some reason. I'll upload it if there's interest. It's rare cause I have never seen one before here. These will also replace a lot of the C40LFs and NABI 40-LFWs. 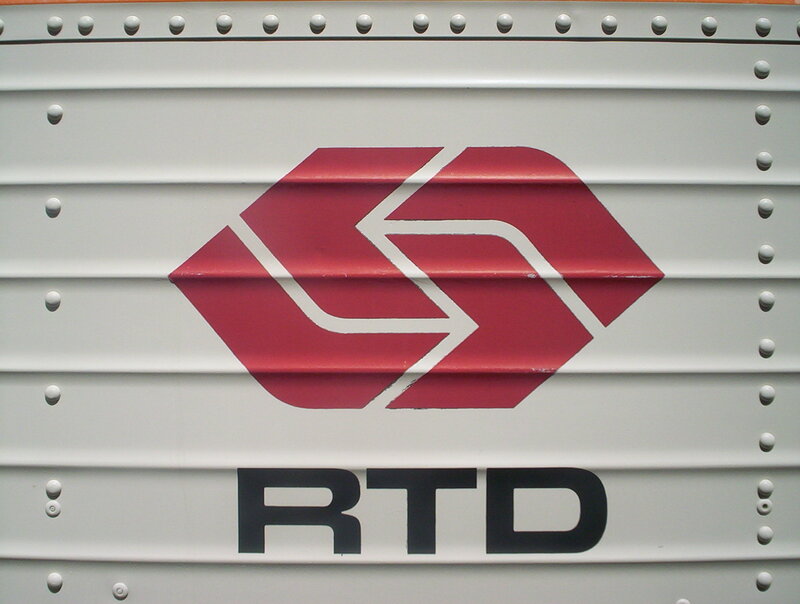 They also have an artic order in the works and electrics on the way for the Orange and Silver lines. I know our (why do I say that even though I left Pace three years ago?) Orions are gone, LA's are still going...and catching fire. Article said they were buses assigned to contractors. 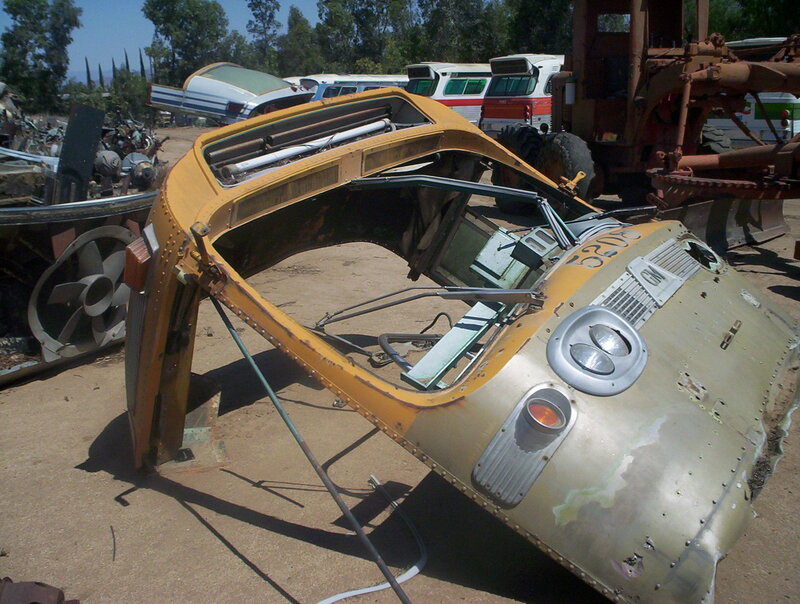 Looks like LACMTA gave the contractors junk. Is there some policy on that (i.e. the contractors are not going to get the ENCs on order)? Wikipedia says that the O6s are due to be replaced with upcoming Axess deliveries. 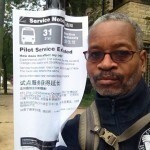 It also seems that their other contractors are running various NABIs and New Flyers that are part of larger LACMTA orders. 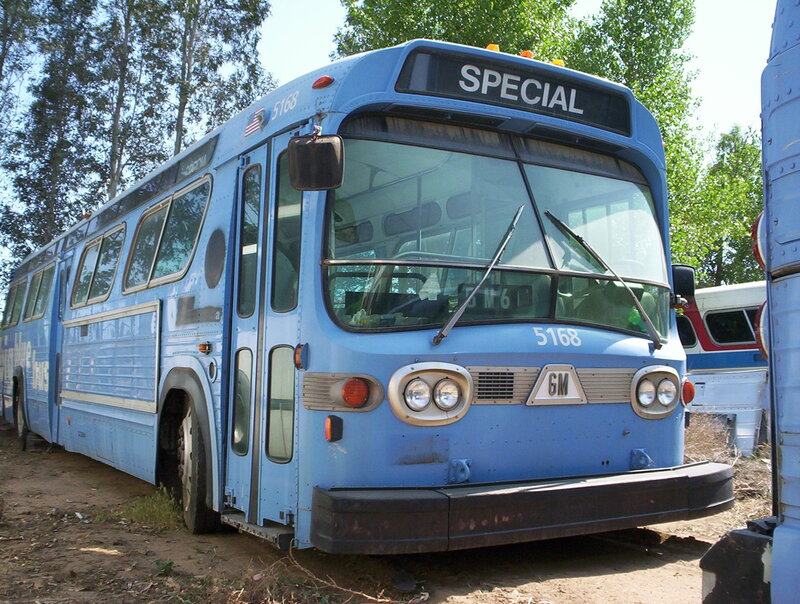 The O6s are also the only diesel buses in the fleet, so there might be an issue with changing the contract or getting a CNG facility available for the contractor.